The Emirates Team New Zealand Womens Trimmer T-Shirt is cut from a lightweight breathable fabric. 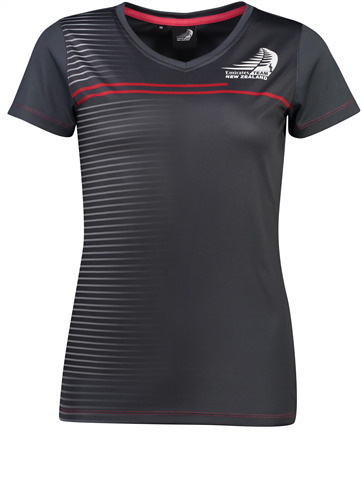 Stylish sublimated print adorns the front with a heat transferred chest logo. 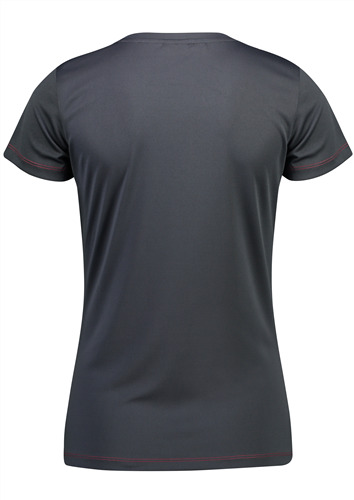 The t-shirt features a V neck and regular fit.